Our mission is to support children’s play in the places where they live. We offer training in UK-based playwork practice in person and online, for application in schools, neighborhoods, museums, parks, and anywhere else children can be found! 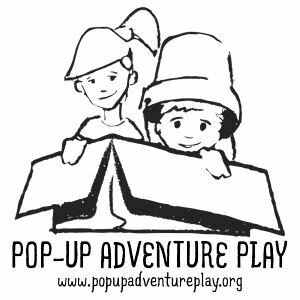 We also provide free resources and other support to independent organizers of Pop-Up Adventure Playgrounds all around the world. These are community-based celebrations of play, in public space and using ordinary natural or recycled materials. Our belief is that children have the right to self-directed play for its own sake, and that an environment which supports children’s play benefits everyone.